The concept of stylizing vehicles custom car graphics has always been there for decades. In fact, it has always been one of the most accepted and popular ways of helping a vehicle stand out in a crowd of other vehicles. However, since its inception way back in the late 1800s, the trend has come a long way and has changed a lot in form as well as mode of expression. Today, this art is being presented in an altogether new and changed style, with a lot of details and sophistication that were hitherto unknown. It is here, where this mode of art has virtually superseded other forms of creativity of this genre. The technological innovations in stylizing vehicles has had its impact on this trend, paving the way to develop high quality and durable materials. This has made this art even more long lasting and durable enough to brave the natural elements without showing any signs of deterioration whatsoever. Materials that are used in modern car graphics mainly include high quality vinyl and a specially crafted UV or laminated coating that helps the graphics from fading or peeling off with time. It is due to these high quality materials that the car graphics of today at times last for as long as 7 to 8 years, if not more! There are various types of car graphics available today. One is the Peel-and-stick variety, while the other is water-slide. The term, ‘Peel-and-Stick variety’ is self-explanatory, where the material has a glue on one side, covered by a guard, which needs to be peeled off before the sticker can be pasted on the surface of the vehicle. The other variety of stylizing vehicles with the water-slide type, needs the decal to be dipped in water, so as to slacken the glue that holds the graphics in its place, before the sticker can be pasted on the surface of the vehicle. Astounding development and evolution in the world of designing and printing technology have made a remarkable impact on the style, detailing, colors, and other aspects of custom car graphics. They today are more durable, crisp and clear, more innovative in style and expression, and more expressive in the use of concepts. All these qualities make the modern graphics increasingly appealing to the modern car enthusiasts. This form of stylizing vehicles art is associated with a number of benefits. Firstly, it changes the way a car looks. It is completely safe and there is no chance that it will inflict any damage to the paint of the car. On the contrary, it will protect the paint from the damages caused by natural elements as well as cracks and scratches at times caused inadvertently or intentionally on the car surface. 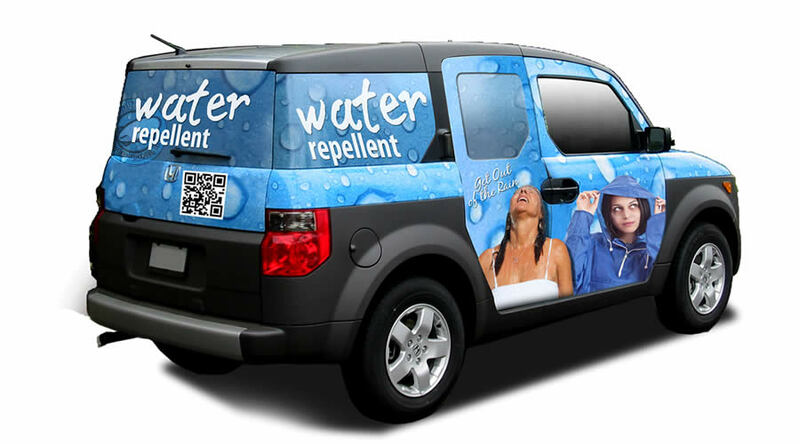 Again, if anyone is running any business and is looking to promote the product or service in an innovative way, customized car graphics is a wonderful way of doing so, without shelling out too much out of the pocket. In fact, the amount that is needed to design these customized car graphics is more reasonable than other modes of advertisement and promotion. This type of stylizing vehicles advertisement is extremely important for the vitality of any business, especially when there is a cut throat competition in the market. In the majority of these cases, the expense of these graphics is tax deductible, and this makes the decision of taking resort to custom car graphics even more desirable as well as economical.